After two episodes, one thing that stands out about MOK is the quality of animation…or rather lack thereof. There’s a number of things drawn in a fast, iffy, haphazard way that all combine to distract from a story that probably needs better production values to hold my interest. 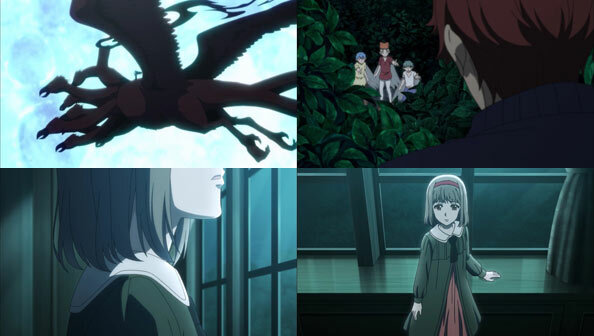 Which is a shame, because MOK is as strong with the Japanese mythology as it is weak in actually showing it, from the nekomata Yuki who reunites with Arata (who thought Yuki was just a regular cat years ago) to a mysterious nine-headed kishi that threatens to cause further Another disturbance. 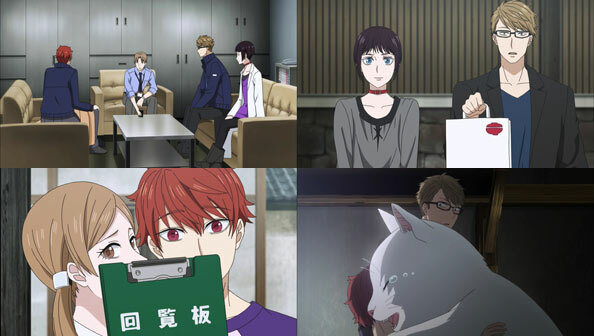 Arata and the other midnight occult civil servants are putting in overtime to investigate a string of recent burglaries involving very particular magical objects. Arata, with his “Ears of Sand” that can understand Anothers, is immediately one of the more in-demand members of the office, as if it wasn’t for him, they wouldn’t be able to gather the information they need to connect the dots. There’s also a weird tension between Arata’s desire to reason with all Anothers through dialogue and his co-worker’s belief that’s naive and even reckless. They maintain that Anothers are distinctly another, and that they and humans just aren’t going to see eye-to-eye on things. I tend to side with Arata on this; after all, the position of the others is due largely to the inability to ever properly communicate prior to Arata’s arrival. 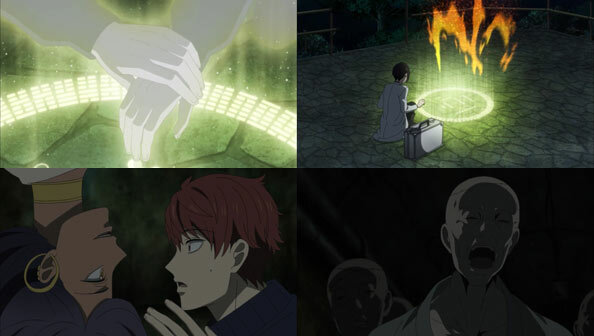 Still, Arata manages to do something stupid and touch a magical circle of some kind before determining whether it’s safe. He and Kyouichi are teleported deep beneath a mountain, where the “oni” who was riding the kishi, stole all the magical objects, and created the magical circle, is there to welcome “Abe no Seimei” with a horde of kyoushi, or Japanese zombies.